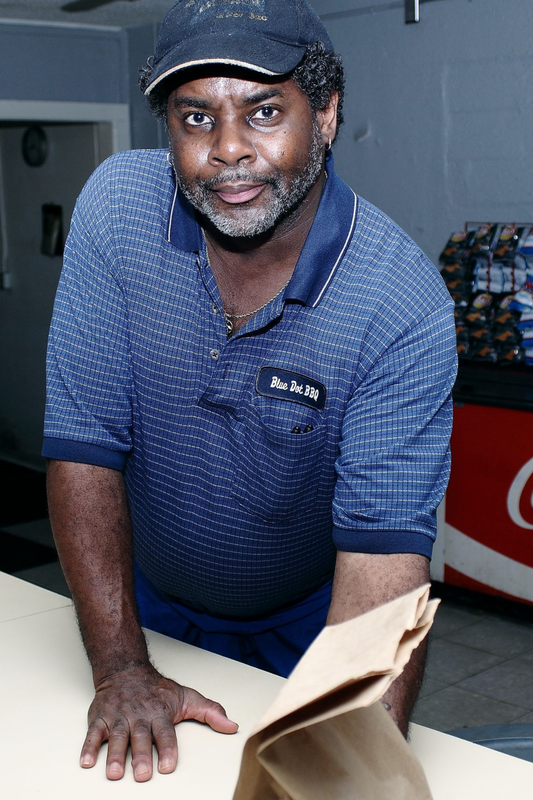 The wait in line seems like an eternity but when Byron finally hands you a brown bag- it’s worth every second. We quickly sat down at the picnic tables inside the Blue Dot, passed out the burgers and dove in. There was a collective sigh of relief. Things may have changed on the outside, but not on the inside. This burger hasn’t changed one single bit. This is the same burger we ate on our first tour, 6 years ago. The same burger we crowned Champion of our 2012 Tour. Hand-formed patties, ripe and juicy tomatoes drenched in mayonnaise, fresh chopped onions scattered across the beef. The bun is the only thing that’s different. It’s always been a plain bun- but now they’re using a sesame seed bun. No big deal. It’s still soft, grilled and buttered, with a quick smear of mustard across the bottom. As always the Blue Dot burger is a lesson in how to apply salt and pepper. There’s something about eating a Blue Dot that makes you want another one…and another one. Okay, so the burger isn’t photogenic. We can’t explain it. The burger doesn’t photograph well. Big deal. It tastes amazing. But don’t take our word for it, head downtown, get there early and for crying out loud- don’t wear a tank top and don’t ask for cheese. 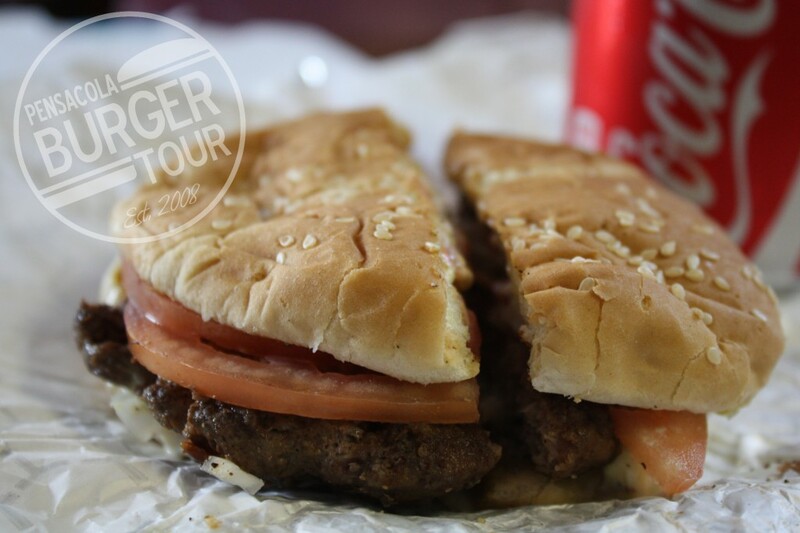 Then visit our website and check back next week as the Pensacola Burger Tour rolls on.